The world was gripped with panic and near hysteria when, in 2014, an Ebola disease outbreak in the West African country of Guinea threatened to become a pandemic. The disease, one of the most contagious and deadliest known to man, had hitherto caused isolated epidemics only in localized rural areas of Sudan, Uganda and the Democratic Republic of the Congo. This was the largest outbreak in history and it spread rapidly to 10 countries on three continents, including the U.S. It affected 26,000 victims and 11,310 lives were lost, including one in the US. There is still no approved drug for Ebola. The closest is the experimental biotherapeutic drug ZMapp™, which was in extremely short supply during the 2014 epidemic. Under a ‘compassionate use’ designation by the U.S. Food and Drug Administration, two American medical missionaries received the first ever ZMapp™ treatment after contracting Ebola in Liberia in July 2014. The patients, one of them a doctor, described the improvement in their condition as “miraculous” and both survived. Developed by the San Diego-based biotech firm Mapp Biopharmaceutical Inc., ZMapp™ was 10 years in the making by the time the epidemic hit. The drug had worked in animal experiments but was not ready for human clinical use or commercial production. Its development had been funded by the Defense Threat Reduction Agency, an indication that the Department of Defense viewed an Ebola epidemic as a security threat to the nation and the world. When Ebola broke out in 2014, the U.S. Department of Health and Human Services’ Biomedical Advanced Research and Development Authority provided additional funds to support production of ZMapp™ for human clinical trials. 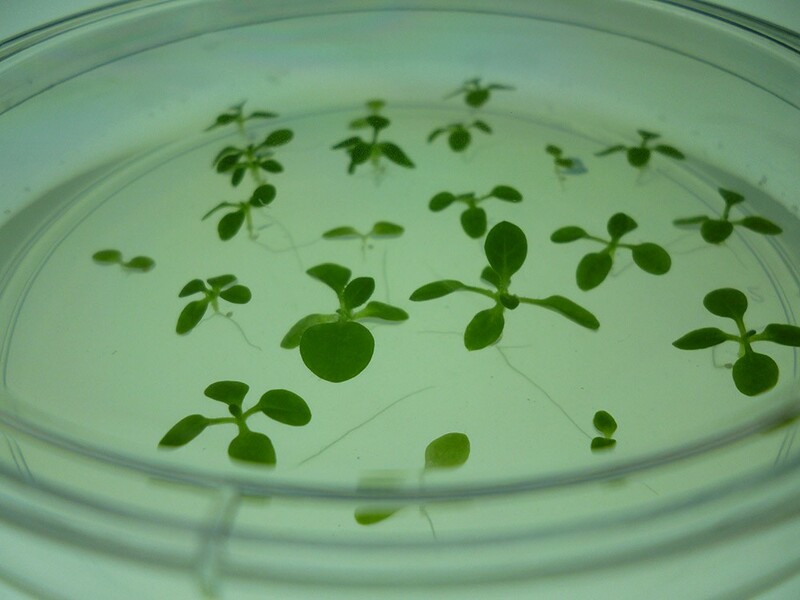 Mapp Biopharmaceutical produces ZMapp™, which consists of three lab-made proteins, in the leaf of a bioengineered version of the plant Nicotiana benthamiana, a close relative of the tobacco plant. The manufacturing process involves harvesting the plant and taking it through multiple purification steps to yield low quantities of the life-saving medicine. The process, however, does not yet yield large enough quantities of the medicine for commercial use to effectively fight the raging epidemic or be stored in readiness for the next threat. At the height of the epidemic, Tom Frieden, director of the Centers for Disease Control and Prevention, described the number of doses available as “a handful.” That was when PhylloTech, a biotech company in Middleton, Wisconsin, saw an opportunity to re-purpose its technology platform to address this shortage. Shepherd founded PhylloTech in 2009 to parlay his basic research findings into a plant-based platform for the commercial manufacture of proteins. 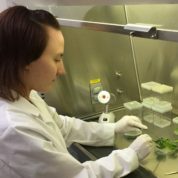 Armed with a grant from NSF in 2012, PhylloTech bioengineered a tobacco plant to produce spider silk, an extremely strong technical protein fiber. The fiber is scarce because it is only made by spiders and spiders, being cannibals, cannot be grown in captivity like silk worms. The leaf surface of Phyllotech’s bioengineered plants secreted large quantities of silk fibers whose recovery involved the non-destructive process of washing down the nearly pure fiber from the leaf. Following the successful demonstration of the utility of their technology, PhylloTech heeded NSF Director France Córdova’s call for scientists to help find solutions to the Ebola crisis. The company received NSF support to adapt the platform toward production of the Ebola antibody. In 2015, the company obtained the DNA sequence for the virus-neutralizing antibody from Mapp Biopharmaceutical Inc. and used it to engineer a plant that produced functioning anti-Ebola antibody. Over 50 percent of the protein secreted on the surface of the leaves was the antibody, which required only a one-step purification process to yield high quality product. PhylloTech subsequently applied for an SBIR grant in 2016 to scale up and further refine the technology. 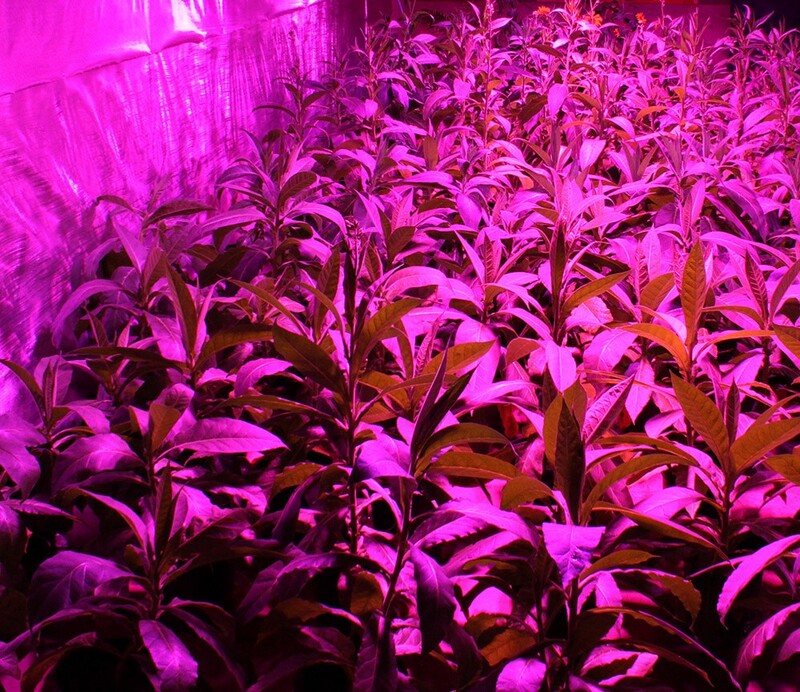 The company’s engineered plants, when cultivated in a growth chamber under controlled conditions, can yield the Ebola virus monoclonal antibody in up to 98 percent purity with minimal purification steps. Moreover, this “green factory” can yield a fresh commercial batch of the biopharmaceutical every 10 days.